I had to say goodbye again with my new friends, Anna and Bib. However ,the journey had to go on. In my 5th day, most of my day will be traveling on the road until Queenstown. I had a chance to transit and spent some hour in Twizel. In Mackenzie district, Twizel is the largest town. I was still thinking that this town is small but Tekapo and Mt cook are even smaller. Most of the industry was counted to tourist service and activity. I never expected more from Twizel but this town made me fall in love. 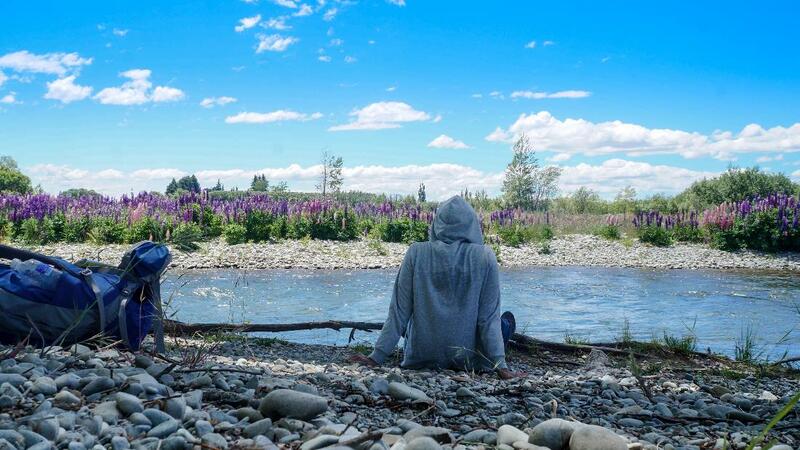 Twizel is also place where lord of the ring was filmed. I was busy falling in love with this town. Day 11 : Interislander - it's not a ferry but a cruise! 10:15 - 11:00 : Travelling from Mt Cook to Twizel by Cook Connection. From Mt Cook, Cook Connection and intercity provide the services between the town. 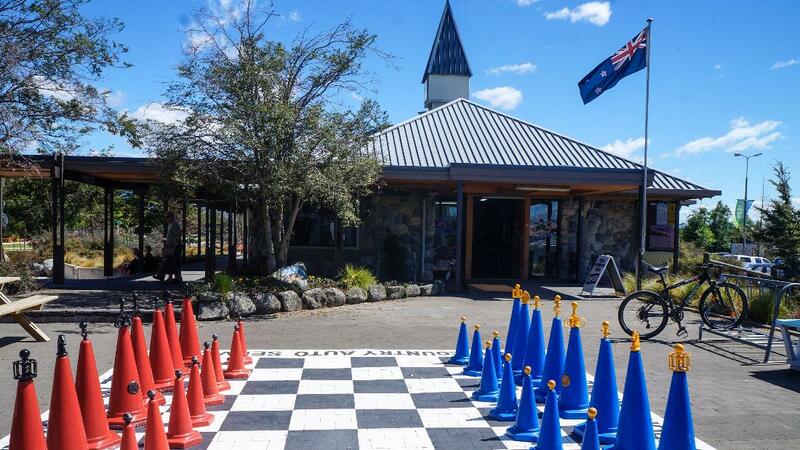 From Queenstown and Christchurch, Intercity and Nakedbus provide the services totwizel. As usual, no public bus services is provided in this town. So you have to walk for getting around. Good luck! Maybe you will not include this town in your list but you should. As we know that the town is the largest and still part of Aoraki Mackenzie International Dark Sky Reserve. A lot of activity provided in this town. The town is very calm so and there is a river that you never found anywhere. 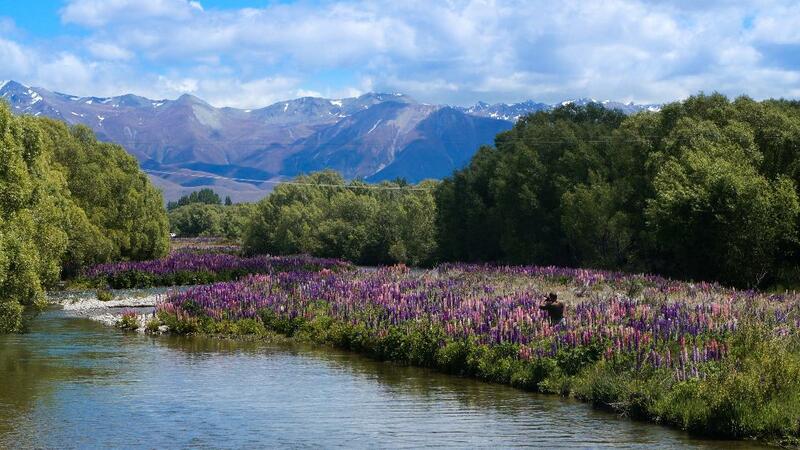 The river is so beautiful especially during Russell Lupin season so consider when you plan to visit! 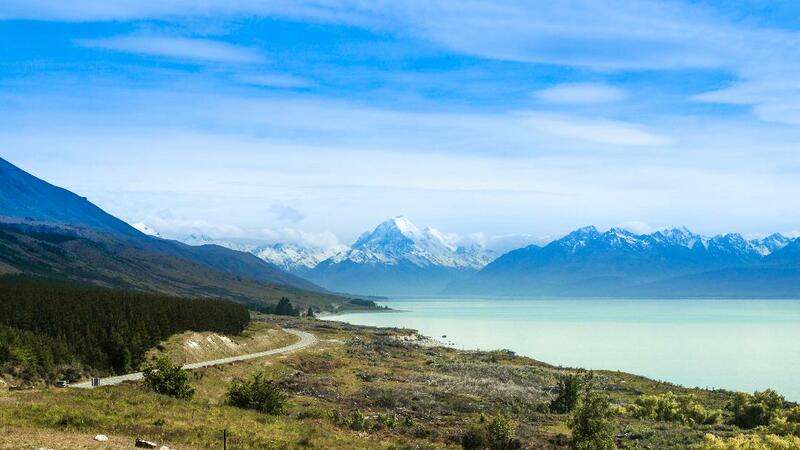 If you have your own transport, you can go visiting lake Pukaki. Walking was the simplest thing I can do since I didn't know more about the town. I found a big set of chess game. The colour of the armies was blue and red ready to have a war. There were a lot of local cafe provided some fresh food and good coffee. A lot of tourist enjoyed their time there. I had known that there was a river beside the town when I saw it while I was on minibus. I just followed the route from map taken from tourist center and I got it. Not many people there, in fact, it was only me there. I thought that I was lost but it was a lucky lost.The river was mine! The river was around 5-10 meters width and not too deep. The water was very clean and the flow was gentle. The best part was the Russell Lupin flower blooming around the river.The river was very beautiful. I Considered to take a nap beside the river. Water flow sound, bird sing a song, insect whispering and many thing made me very convenient to close my eyes and fell a sleep. See you at 3 PM! It was a beautiful place to grow up and will always be home. yes, it is very beautiful and peaceful! The river was our favourite playground as children. We camped, swam, climbed, fished, hunted, learned and loved there. A magical area to grow up. It will always be home to me and many others, no matter where life takes us. Nice to see friends from around the world experiencing its' beauty too.